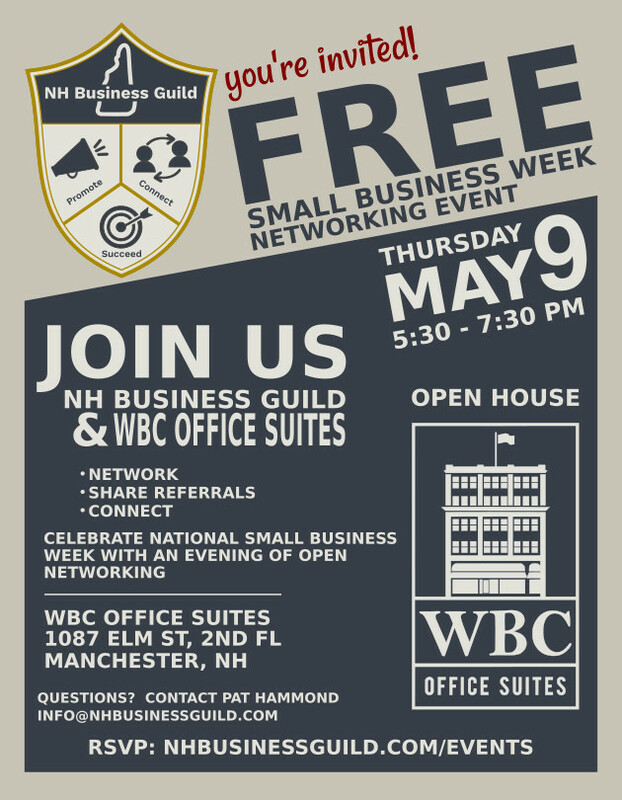 We are excited to announce that NH Business Guild has partnered with local co-working space, WBC Office Suites, for our first evening open networking event. Much of New Hampshire's economy is driven by small business people, help us celebrate local business with an evening of networking at WBC's newly renovated co-working space. This is the perfect event for serious small business owners and managers to expand their networking and connect with other local business owners. If there is enough interest, we would like to make this a regular quarterly event. While this event is free, space is limited. If you would like to attend, please RSVP on Eventbrite. 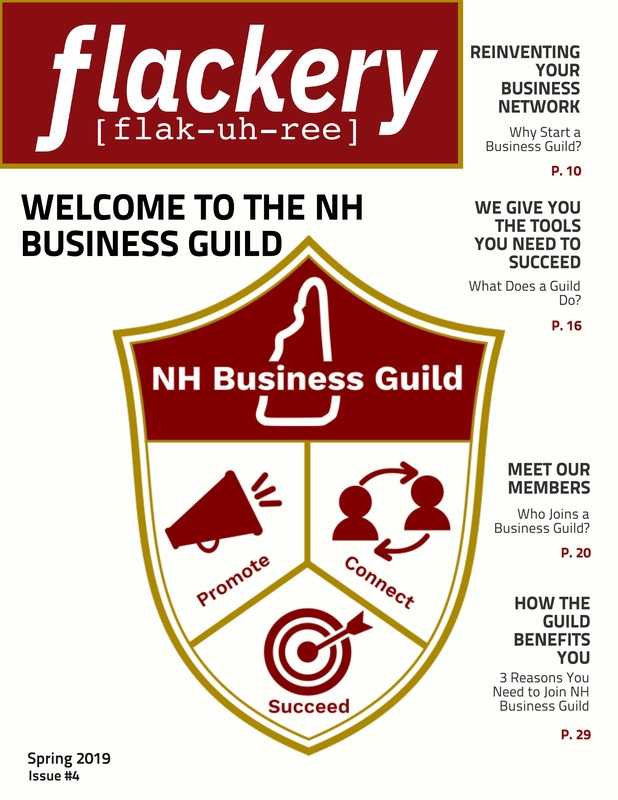 Big Changes in 2019 - NH Business Directory is now the NH Business Guild. In case you haven't heard, the NH Business Directory is now the NH Business Guild. The decision to re-brand was an easy one. The original business directory was a free resource of Queen City Buzz, but as it evolved it went from being a simple online directory to a robust, multi-media online resource including the business directory, Flackery magazine, live events, and many more features due to roll out later this year. Community partners for banking, affordable insurance, & more! Instead of being a basic online Yellow Page® type service, we became a group of people working towards common goals and NH Business Guild seemed to be a much better descriptor of who we are and what we do than NH Business Directory. Overall, this was the right decision. In addition to creating a more cohesive brand image, I think it makes a clear statement that we are here and we are invested in growing a stronger business community. In fact, I was so sure that it was the right choice, I dedicated the entire Spring 2019 issue of Flackery answer almost every question anyone has ever asked me about the guild. If you'd like to know more about who we are, what we do, and why you should join, just click on the cover and follow the link to download the magazine.